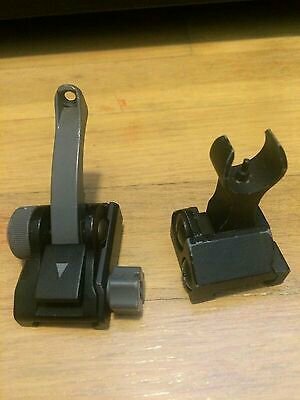 Is anyone able to help identify (type, brand, etc) the rear flip up sight shown below, please? Reminds me of the Mangonel sights, but this doesn't have the bottom support tab. My Google searches have yielded nothing so any help is appreciated. Thanks.